Oven Cleaning Barking and Dagenham RM - Commercial & Residential Kitchen | Quality Property Care Ltd.
You care about the quality and healthiness of the food you and your children eat? Keep your cooker or oven is clean. 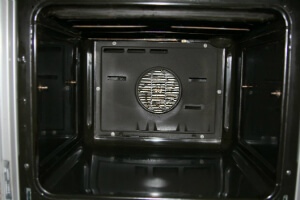 The nasty burnt on carbon residue and grease and grime on your oven can be bad for the food you cook. To make sure your oven is perfectly clean and safe, call Quality Property Care Ltd.. We offer expert and efficient oven cleaning in Barking and Dagenham RM. Our residential and commercial oven cleaning service is preferred and recommended by a growing number of owners of professional kitchens as well as residential clients. The professional oven cleaning company offers deep cleaning of all kinds of ovens, cookers, hobs, cooktops, fridges and freezers, microwaves, grills, extractors and other kitchen appliances at a very tempting oven cleaning prices. Call the professional cooker cleaning company to receive your free quote within 2 hours. You can also send an online request form. Customer service is available, so go ahead! While we are specialised in oven cleaning, we also have additional solutions which can be used to keep your entire kitchen clean. We can clean every surface in it, starting with the tiles and grout on the walls and floors, trash cans, counter tops, sinks, cupboards, warm drawers and more. Take advantage of our comprehensive kitchen and oven cleaning service and call us whenever you want. We can clean double ovens, ceramic hobs, single ovens, hotplates, gas hobs, gas cooktops, stoves, ceramic cooktops, cookers, Rayburn range Cookers, Stanley Range comers, AGA cookers, extractors, oven racks, cookware, fridges, freezers and warming drawers including all detachable parts like trays, racks, panels, fans, light protectors, control knobs and extractor fans. Quality Property Care Ltd. was founded in 2005, and has been cleaning the ovens of people, professional kitchens of businesses and restaurants ever since. The oven cleaners are very carefully picked, thoroughly trained and certified to work with a number of brands and types of cookers, range cookers, ovens and others. The oven cleaning services are fully insured, and the kitchen appliance or the oven is tested before and after the cleaning procedure. A dip tank deluxe method is used to soak parts of the oven. The cleaners disassemble and soak and then use wire brushes and sponges to clean racks, trays, pans, panels, extractor filters, control knobs, light protectors and fans from all the grime and dirt, burnt on carbon and residual grease. If you want to eliminated your oven's bad odour, or want to see it shiny again, our professional oven cleaning service in Barking and Dagenham RM from Quality Property Care Ltd. is the best option for you. It is finely performed by well-trained, educated and experienced oven cleaners. They are fully insured and vetted. Even if you are not present in your home, don't worry: your personal belongings are secured. The skillful oven cleaners work fast and can be re-scheduled for free within a decent period after your reservation. We are understanding and flexible, so we guarantee to set up professional oven cleaning in the most suitable way for you! To book call 020 3746 4287 and have our expert team of cleaners come over and clean for you. The customer support is here for you. We work during the whole week, without any extra charges for weekend and holiday jobs.